The new online store dressale.com! Do you love pretty dresses? Do you like the sale of beautiful dresses? Then online shop www.dressale.com is what you need! 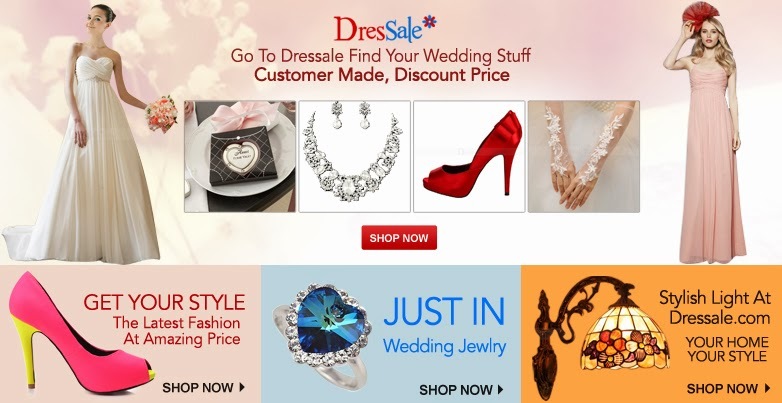 In Dresssale you can buy a lovely wedding dresses, wedding party dresses, special occasion dresses, shoes and more! You can still buy goods for home&garden. If you have a special occasion, wedding or you just want a beautiful dress, you cann't see it in this store! My wish-list in Dresssale is very big! I love pretty dresses and the third one is my favorite. I don't know this shop so thanks for sharing. Your wishlist could be my wishlist. fantastic dresses. The shop sounds interesting. Wow, many beautiful dresses, thanks for sharing! These are some great dresses. I will check it out for sure! I will surely check this website! Beautiful dresses!! Thanks for your comment on my blog. I'm following you now on GFC and Bloglovin. Please follow back. Would you love to follow each other on other platforms? Interesting web!! Thanks for sharing!! Love the first dress!Thanks for sharing! Love so much all of them! But the blue are perfect!! I love the beaded shoe! So beautiful! Thanks for sharing!